Peachtree Park, a hidden gem in the heart of the city, is one of Buckhead’s most popular neighborhoods. The neighorhood is a mix of charming bungalows, Craftsman-style homes and new construction homes with lush landscaped lots. 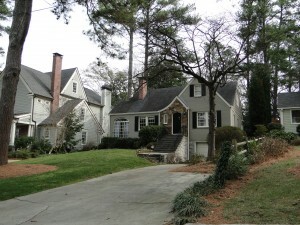 Easy walking distance to MARTA, Lenox Square and luxury shopping center, Buckhead Atlanta. 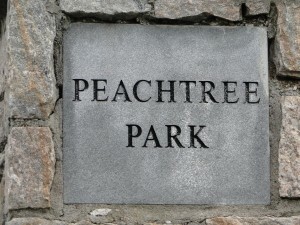 Visit Peachtree Park and you will see residents walking dogs, pushing strollers and talking with neighbors. Yes, it’s that kind of neighborhood! Once a Peachtree Park resident, always a Peachtree Park resident. Many Peachtree Park residents live by this philosophy. If you talk to Peachtree Park residents, you’ll find out many have lived in the neighborhood for a long time and some have even lived in several different houses in the neighborhood. Location, location, location – Peachtree Park is in the heart of Buckhead! It’s a quiet neighborhood surrounded by the hustle and bustle of the big city. Walk to Dining & Shopping – Peachtree Park neighborhood is surrounded by yummy restaurants. Walk to Buckhead Diner, Bones, Kyma, Bricktops, Ruth’s Chris, Fogo de Chao, Flying Biscuit, Corner Cafe, Caribou Coffee and the new Buckhead Atlanta Luxury shopping center. With the foot bridge over 400, Lenox Square is just a few minute walk from the neighborhood. Easy access to the suburbs and downtown – The neighborhood is minutes from major highways: 400, I-85 and , I-75. Public rail transportation can easily be accessed with multiple MARTA train stations: Lindbergh, Lenox, and Buckhead. Green Space – Peachtree Park has a playground for the kids, a one-mile walking trail for joggers, dogs, strollers or picnic-ers, a garden with private plots, street islands, pedestrian bridge landscaping and beautifully maintained yards with towering trees. 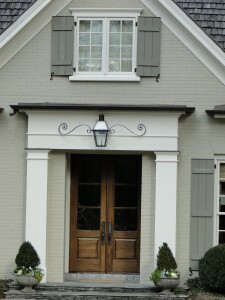 Unique Homes – Driving through the neighborhood, you’ll see the wide variety of architectural designs. Bungalows, Cape Cods, Craftsmen, and ranches from 1930s to 2009, every home has unique characteristics that sets it apart from the other 550 homes. Peachtree Park Civic Association – With an active Civic Association, we receive regular neighborhood updates via email and www.peachtreeparkatl.org. There are multiple annual events, beautifully maintained parks, security, communication, and a women’s club which are all very successful because neighborhood volunteers and the Peachtree Park Civic Association. Quiet, non-cut-through neighborhood – From the neighborhood, the only main road that is accessible by car is Piedmont. Therefore, majority of the cars in the neighborhood belong to residents and guests and the occasional lost Atlantan. Peachtree Road can only be accessed by a pedestrian pathway by The Intercontinental Hotel. Lenox Mall is accessible from the neighborhood by the pedestrian bridge over 400. Family Friendly – There are many children, including the 4-legged kind, playing on every street in Peachtree Park. On any given day, we see dogs being walked, strollers, kids on bicycles or tricycles and kids playing ball in the street. From infants to teenagers, the neighborhood is filled with children. During the summer, there are multiple Peachtree Park Civic Association for the whole family. 4th of July – Families can start the day off by watching the start of the Peachtree Road Race, next participate in or watch the neighborhood parade on Paces Ferry Road, and finish it off by joining the neighbors at the pedestrian bridge to watch the impressive Lenox Mall fireworks display. Halloween – Peachtree Park has been voted one of the top 5 neighborhoods in metro Atlanta for trick-or-treating. Not only is there good candy and a lot of trick-or-treaters, but the houses and yards are covered by ghosts, goblins, jack-o-lanterns and tombstones. An annual neighborhood Halloween Festival is sponsored by the Peachtree Park Civic Association. Read more about the history of Peachtree Park and the Peachtree Park Civic Association. Watch a video featuring Peachtree Park and Buckhead homes.